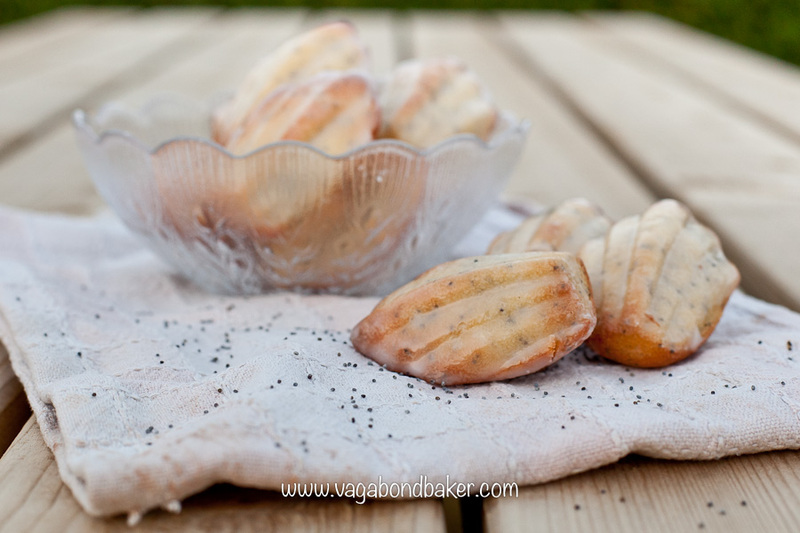 These glossy little morsels are sharp and zesty with lemon and have a little crunch from the poppy seeds, they look so pretty and dainty. They still have that wonderful butteriness of regular madeleines, I just can’t get enough of it! As with my other madeleine recipes, the batter is very easy to make but it needs a couple of hours resting in the fridge. It can rest overnight if that suits. I have a 9 hole silicon madeleine mould, I love it as it doesn’t need any greasing and the madeleines pop right out. I bake my madeleines in batches, very quickly washing and drying the mould out in between bakes. Melt the butter, either in a microwave or in a pan, and set aside to cool. Break the eggs into a large bowl and add the sugar. Either by hand with a balloon whisk, or using a hand held mixer, beat until light and full of air. Add the milk to the butter then whisk into the sugar/egg mixture. Stir in the lemon zest and the poppy seeds. Combine the baking powder thoroughly with the flour in another bowl then sift half of it into the batter. Fold in with a metal spoon then sift the rest of the flour over the top and fold it in. Cover the bowl and leave it to rest in the fridge for at least a couple of hours, better still overnight. When you are ready to bake them, preheat the oven to 180 C / gas 4 / 350 F.
Place a heaped teaspoonful of the batter into each of the shells of the madeleine pan, try not to over fill them or they will spill out over the mould. If you are using a silicon mould, place it onto a plain baking sheet for stability. Depending on how many madeleines the pan can make you may have 2 or 3 batches. Bake just one batch at a time. Place in the hot oven and set the timer for 5 minutes. When the timer goes off, open the oven door a crack, I wedge it open with a wooden spoon handle. Leave the oven on and give it 1 minute open. Now shut the door and set the timer for 8 minutes, the madeleines should now rise! Check them after 7 or 8 minutes, they might need a few more minutes, depending on how efficient your oven is as reheating. Turn out onto a wire rack to cool. Give your pan a quick wash and dry then repeat the process until all the batter is used up. Squeeze a tablespoon or two of lemon juice, from the lemon zested earlier, into a small bowl. Add enough icing sugar to make a glaze thick enough to coat but runny enough to pour. 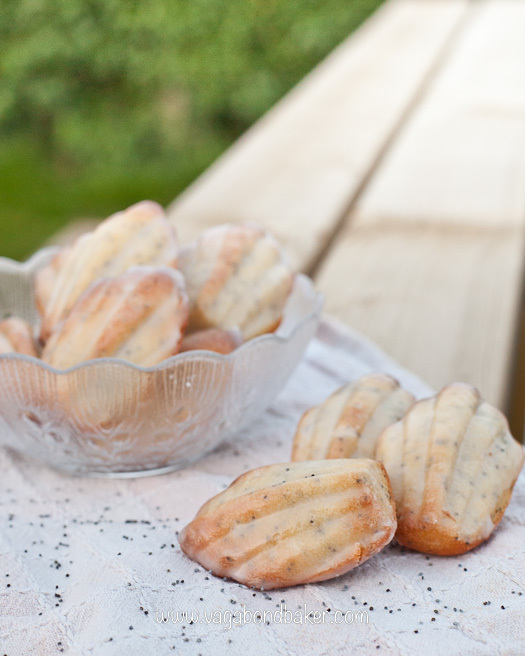 Dip each of the madeleines into the glaze to coat the shell pattern, set onto a rack to set. 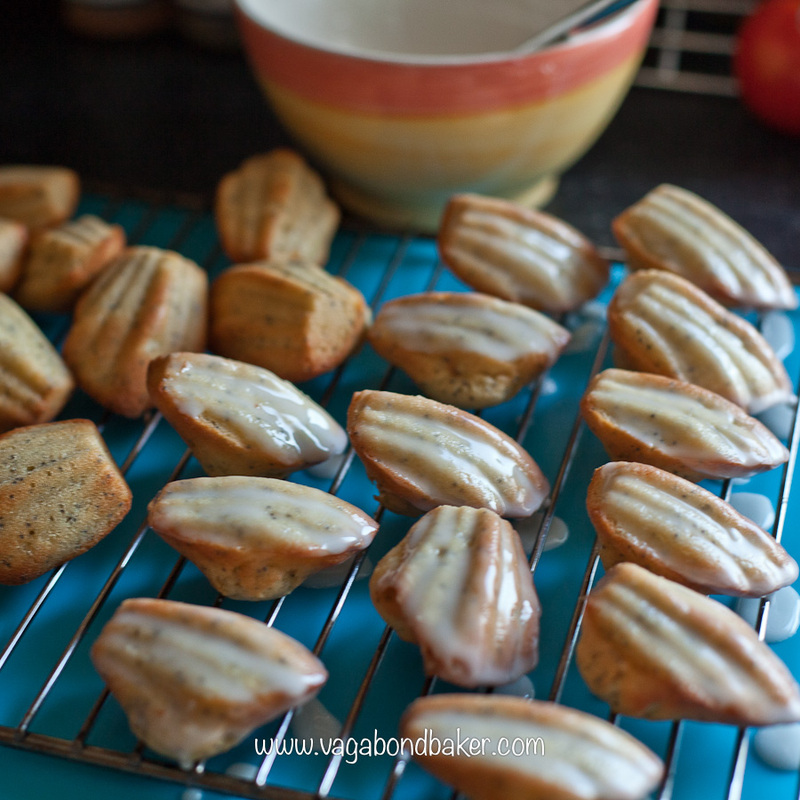 I was just looking at a madeleine pan today… somehow the thought of baking them intimidates me though! Yours look gorgeous! These look yummy! Great photos! They look so beautiful and I bet the taste even better! 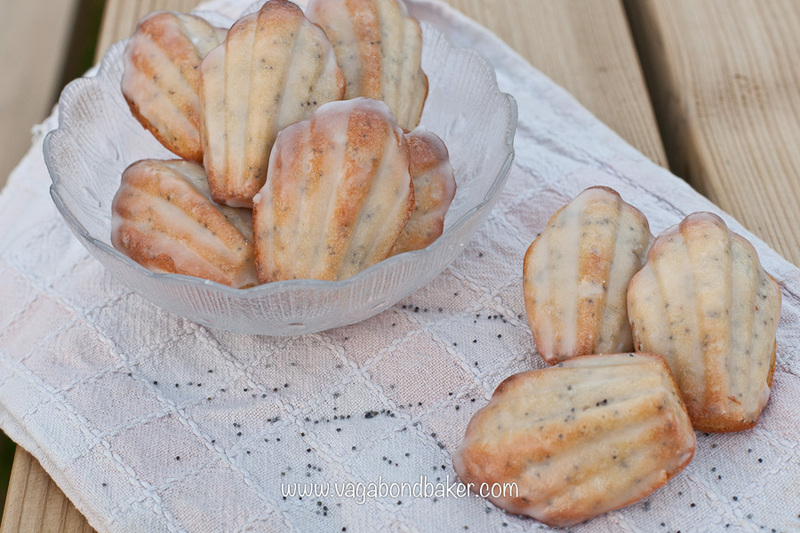 I love Madeleines, well done! Mmmmadeleines, makes me think of sharing madeleines with the birds in Paris! 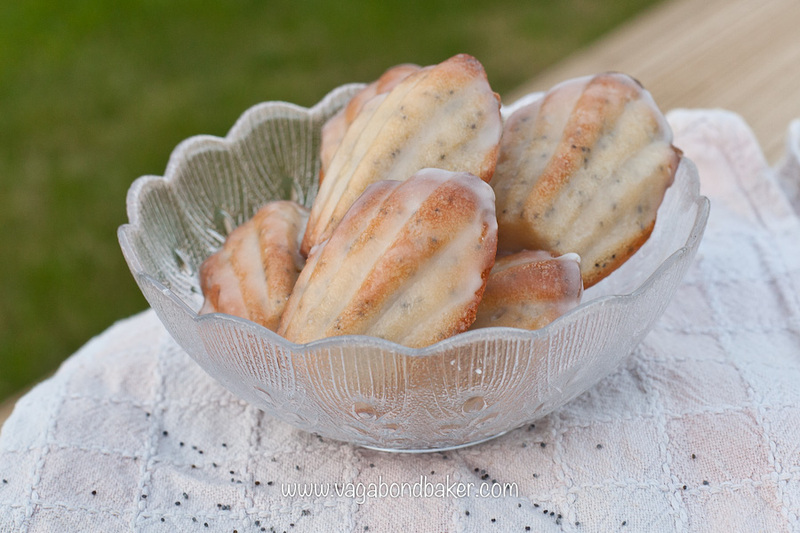 I can personally attest to the deliciousness of your madeleine recipe! Just read your Lisbon Street Art post, how amazing, wish I could have shared that with you guys!